As a business-to-business technology marketer, your sales process is competitive and your solutions can be complex. No two companies’ needs are the same. This leaves you with several types of buyers, different decision makers, personalized experiences, and new possibilities for you to uncover in your content. Your B2B content can impact your buyers' search and how they perceive your company and your solutions. When your potential customers are fixing problems or achieving goals you have to nail why your solutions matter to them. Then the what you offer and how it works become even more important. 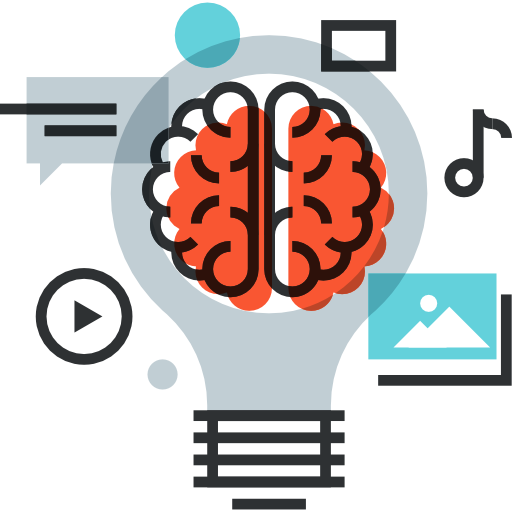 Are you looking to share your expertise through content that educates your audience, tells your story, and shows why you're different? Do you need B2B content to introduce new, innovative, or complex solutions to your prospects and customers? Is your marketing team too busy tackling new projects to focus on creating useful content and repackaging it consistently? If you answered yes to any of these questions, I'm here to help. My name is Deb Monfette and I'm a real-world customer experience enthusiast and content writer. I created Contenttriggers to help people solve problems. But I soon realized it's more than that. I can help your audience see the possibilities for change by sharing how your customers were successful and showcasing the experiences you provide. The things people remember after consuming your content and that no one else can copy. 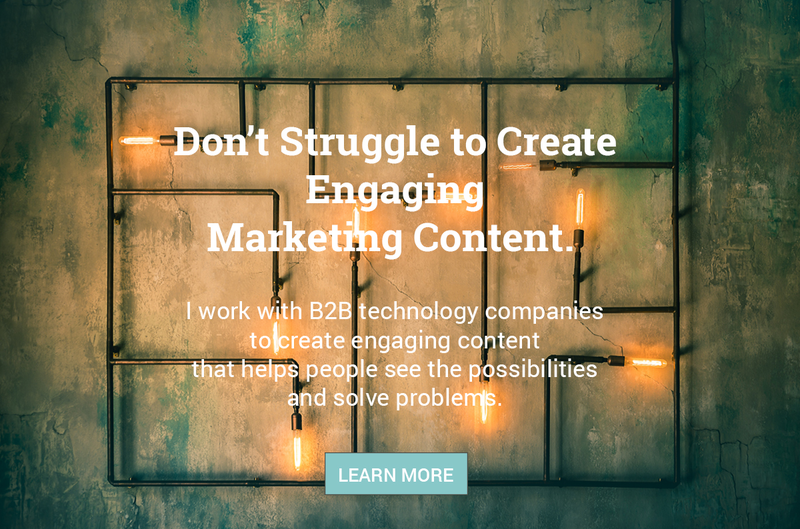 I can create content that nails why your solutions matter to connect with and engage your buyers. I can also help communicate what you offer and how it works. Creating useful content consistently along the buying cycle is one key to building relationships with decision makers who want and need what you have to offer. by reimagining your case studies. Download my free guide with 7 tips from B2B experts. 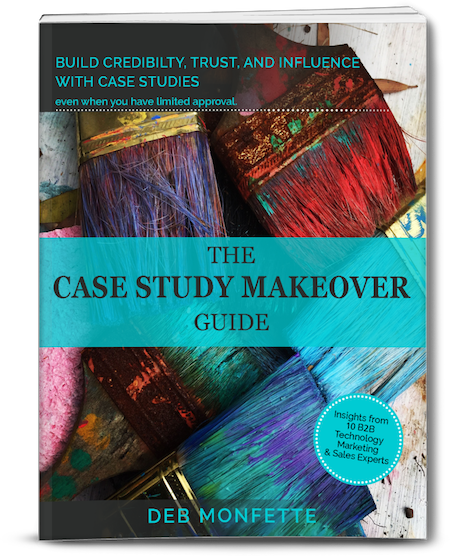 Build credibility, trust, and influence with case studies, even when you have limited approval. Your target audience has questions they need answers to and they're looking for an authority they can trust. Help your B2B buyers with their challenges and their goals. Introduce the possibilities for success. 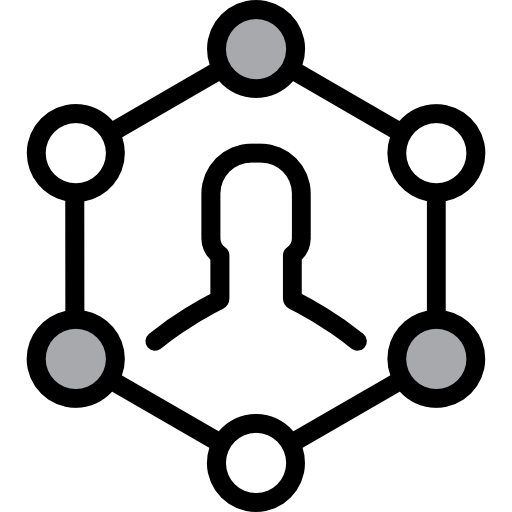 Provide insights into the data to influence their decisions. Squeeze every last thought out of your most useful content and breathe new life into it. Repackage it into different formats and reach more people in different ways. "Deb is not only a stellar writer but has contributed very strategic ideas to Customer Engagement Magazine. She understands how to be customer-focused. She also has a unique way of making a complex topic easier to understand and tying in real events to make it engaging. B2B Content focused on products and services is important. But to be effective you have to share content that connects with the desires and challenges of your audience in their search, first. Speed up the entire process with these tips and strategies. Squeeze every last thought out of your best content. Repackage it into other types and across different media channels. You can extend the life of your message and reach more people in different ways, while increasing your return on investment.